As the 11th largest retail chain in the world, the Target discount department store retail chain is obviously doing something right. So, retail industry analysts, leaders, and students want to know what that "something right" is. That's why inquiries about the Target mission statement and founders are some of the most frequently asked questions in the retail industry. Later, in 1968 Geisse founded Venture Stores for the May Department Stores chain. 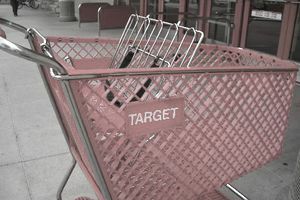 The venture was essentially a direct competitor of Target. In 1982, Geisse used his innovative retailing ideas to found another new concept of discount retail shopping which he called the Wholesale Club. He grew that chain to 28 stores before it was bought out by Walmart and rebranded as Sam’s Club stores. Geisse is credited with the idea of adapting better quality merchandise and retailing it in a discount format. He’s also known as the pioneer of large quantities of open stock on shelves, and self-service department store shopping. Geisse was employed by Sam Walton, founder of Walmart Stores, for 25 years. Walton referred to Geisse as “a pioneer in innovative retailing concepts,” according to a report by the New York Times. Since Dayton Department Stores is where Geisse got his first experience in retail management, he was greatly influenced by the leaders there, who, at the time, were the five grandsons of the founder George. It was Granddaddy Dayton’s legacy, however, that created the foundation upon which the Dayton Department store company was thriving when Geisse founded Target stores. A year later the name was changed to Dayton Dry Goods Company. That first store was the beginning of a retailing legacy known as the Dayton Corporation. Dayton was well known for being a philanthropist. His history of philanthropy stemmed from his dedication to his religious beliefs. Reportedly Dayton studied the Bible daily and went to church regularly.